State of the Map US is coming up fast, we're excited for a program packed with great sessions, panels and lightning talks and we also want to make sure we have plenty of opportunity to connect informally in the hallways of the United Nations - and after hours. Let's hang out and chat. Here are the places where you will find other attendees to talk OpenStreetMap over a drink and a bite. Looking forward to seeing you there! A happy hour for folks who are new to the State of the Map experience. There will be a short presentation on what to expect and how to get the most out of the State of the Map US. You'll have a chance to rub elbows with other new timers and make friends with some veterans. This happens right before the Kickoff Party starts. State of the Map US kicks off with a special event at a hidden gem: New York City's landmark Surrogate Courthouse building. SoTM'ers will mix and mingle about maps in what is considered to be one of city's best Beaux-arts interiors. Beer, wine, non-alcoholic beverages and NYC snacks to be served. This building is not usually open to public, be sure to see it while you can! After a long day of conferencing, the festivities move over to Studio Square Beer Garden in Astoria, Queens. It's just a short hop, taxi or bus ride away. 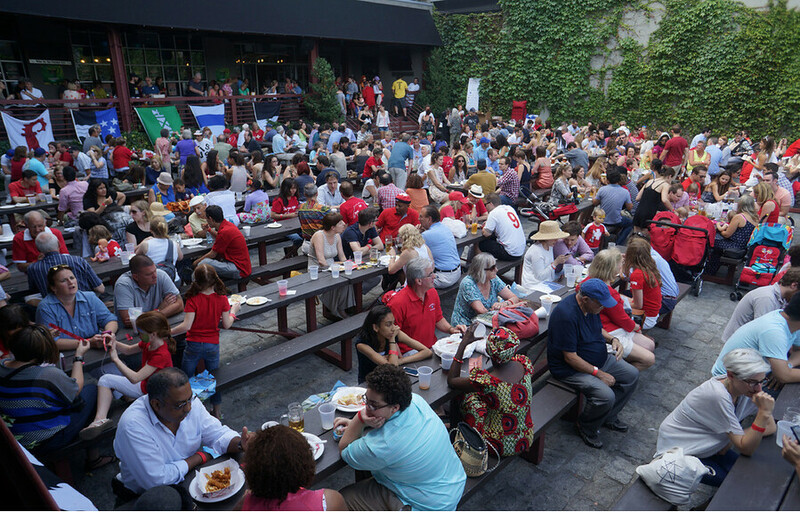 We'll enjoy food and drinks under the stars in New York City's largest outdoor beer garden. Buses will be waiting for you at the UN to whisk you over the Queensboro Bridge to the most diverse Borough in the city. We close out the talks with a visit to the woman who brought so many of us here. 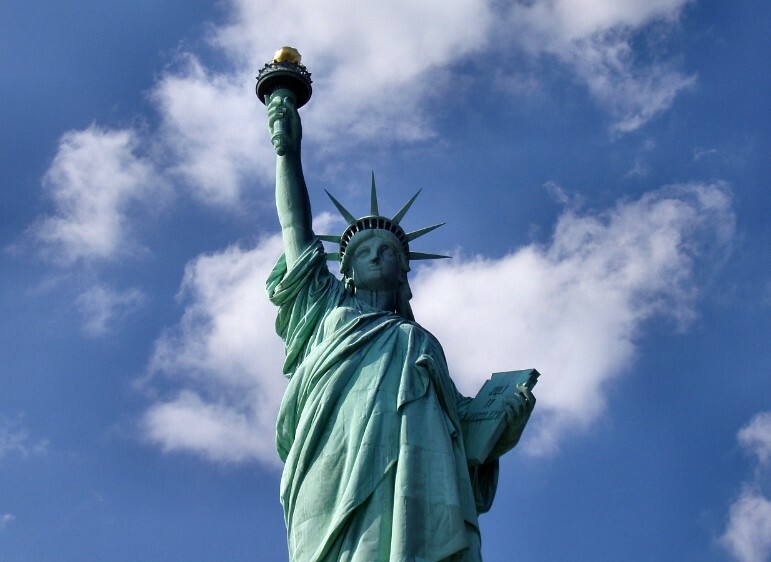 Come see the best totally free attraction in New York City: the Staten Island Ferry to the Statue of Liberty. The beers served on the ferry are also ridiculously cheap. Stay tuned for meetup details. 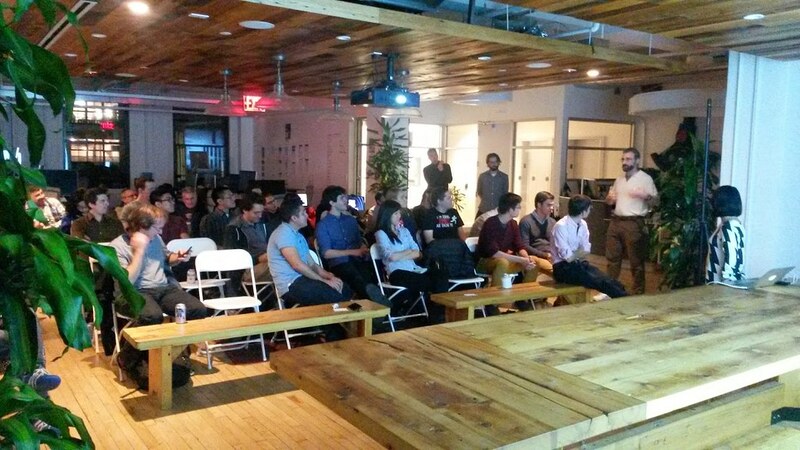 GeoNYC is the locus of New York City's mapping community. We invite all attendees to close out State of the Map US and celebrate with their New York City mapping friends over beer, wine, pizza and a good cheer.